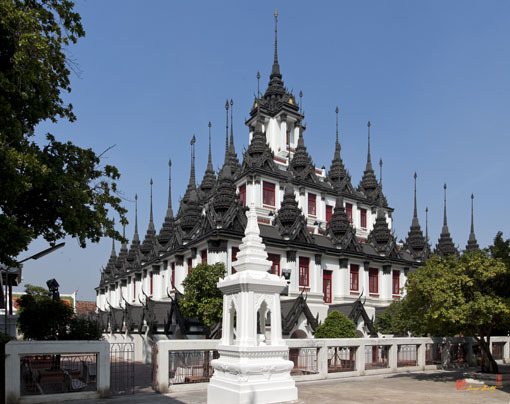 The Metal Palace or Loha Prasat, โลหะปราสาท, is located adjacent to Wat Ratchanaddaram. 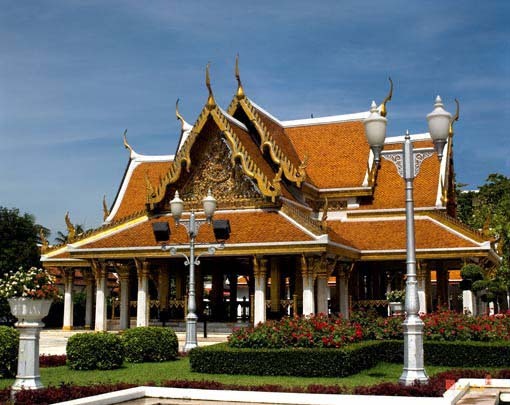 The design is based on an old style Buddhist structure in Sri Lanka. 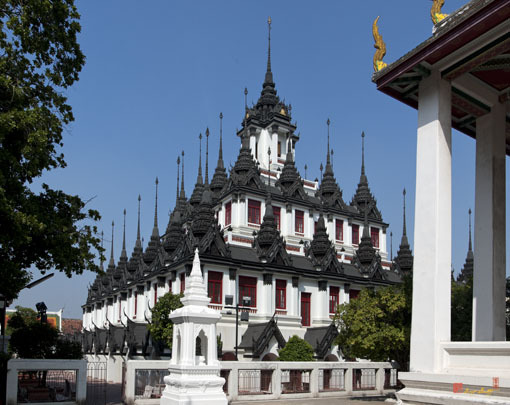 It was begun in the early 19th century by King Rama III but was only recently completed. 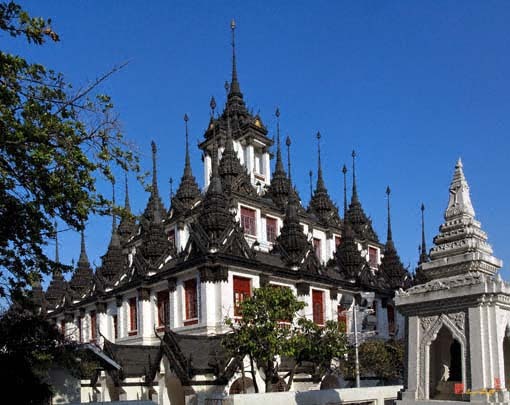 The prasat is essentially five concentric towers with the outer, middle and inner towers capped with cast iron spires (hence the name "Metal Palace"). The two un-capped towers are open walkways lined with shrines.